Every project is always a bit more exciting when you can learn something new on the way, the more you can learn the better. I have tried to build the whole software infrastructure around MQTT protocol with use of several AWS services. The config file is divided into sections, each responsible for properties specific to some functionality. 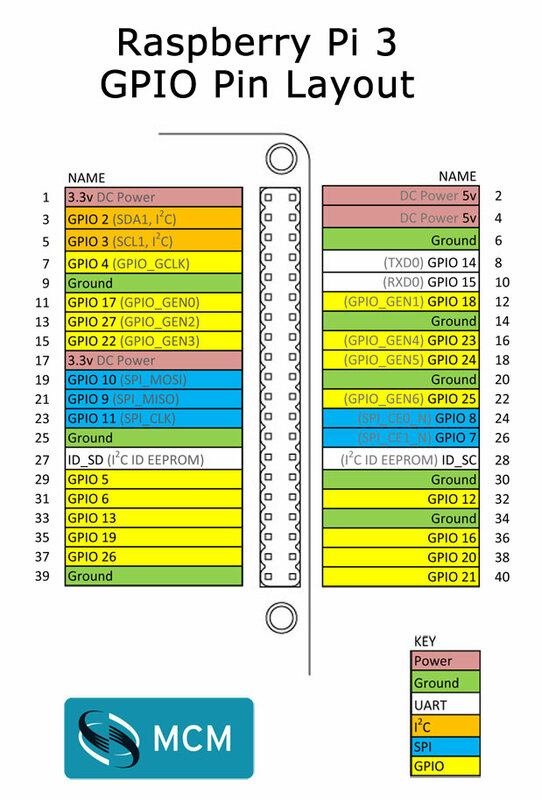 The GPIO sections specifies the pins used by pir sensor (input) and feeder pin (output). The temperature sensor is connected to standard 1-wire pins of the Raspberry Pi. The RPi pins have enough available VCC and GND pins to connect all the external devices (temp + pir sensor). The camera module goes into custom connector. To upload to s3 you need to install python boto module: apt-get install python-boto, create a separate user for amazon s3 services so you will operate with a separate credentials for RPi only. In addition create an s3 bucket for image uploads. The ‘paho’ library is used for MQTT communication, ‘boto’ for s3 uploads and ‘w1thermsensor’ for easy temperature readings from DS18B20 1-Wire sensor. You can find multiple tutorials on how to get started with AWS IoT service, I won’t go into detail of creating a ‘thing’ on the service website itself as its really straight forward, one example could be found here: http://blog.getflint.io/get-started-with-aws-iot-and-raspberry-pi . The only thing you need to do is to create a single ‘thing’, create and download the certificate files and you are done (for now). Later we will create some rules which will allow us to automatically publish the messages to DynamoDB database or s3 service. ‘ca, cert and key_path’ are the absolute path to your certificate files location downloaded from the AWS IoT website. ‘thing_name’ and ‘client_id’ is the name you gave to your ‘thing’ where you were creating it on the website. the port is standard and host can be found on the left side of the configuration screen. Once the setup is created we can try to send messages between AWS IoT and the Raspberry Pi (Assuming you are already connected either through WiFi or ethernet to the internet on the RPI itself). 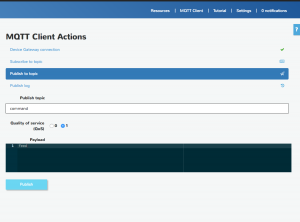 The ‘sendStatus’ method takes the name of the topic and fills up the inline created JSON to send over to AWS IoT service for further processing. For simple testing and debugging purposes you can use MQTT client available on the AWS IoT website where you can subscribe to specific topics and send messages to your registered resources. The PIR sensor just sets its output high when the motion is detected, its pretty simple and pretty straightforward to use. You need to configure one of the RPi pins as input pins, pull them down and attach an interrupt which will execute specified method once the pin state changes. Once the message is received with the ‘on_message’ callback method the simple if-else conditions are executed to find out which command should be executed further. The BirdFeeder listens actually on the single topic right now called ‘command’. You can find already available libraries to handle the camera module easily, both the video and photo parts are pretty straightforward. if xDim &lt;= imgSize and yDim &lt;= imgSize: #ensures images already correct size are not enlarged.